Amsterdam-based startups accelerator Rockstart announced it is opening Athens as the first foreign hub where it will organize its event format Rockstart Answers. Rockstart Answers helps promising early-stage startups in solving their toughest challenge through expert input. So far, events were held in 14 cities including London, Berlin, Amsterdam and Vilnius. Athens is the next in a series of European cities where Rockstart will stimulate knowledge-sharing among entrepreneurs. 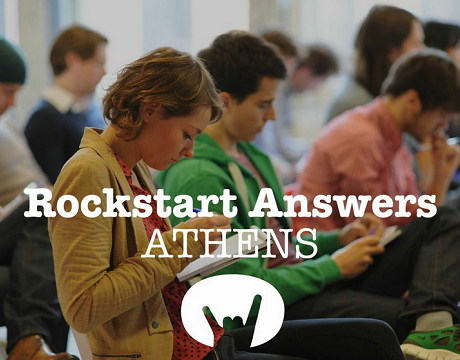 The first Rockstart Answers Athens event will take place on September 25, at 8.30am – 10.30am at Orange Grove. Since its launch in 2012, Rockstart Answers has helped 160 startups through 32 events. Previous participants of Rockstart Answers include funded and award-winning startups like Uber, Resmio, Songvice and Betali.st. Ioustinos Sarris, co-founder of sustainability gamification startup TheCityGame and advocate for entrepreneurship education in Athens, noticed its impact while he worked in Amsterdam. Soon after relocating to Greece he and his co-founders Fotis Merakos and Thomas Papaspyros decided to launch Rockstart Answers in their native Athens. Sarris, Merakos & Papaspyros who are alumni of the 2013 Rockstart Accelerator Smart Energy cohort, will kick off Rockstart Answers Athens later this month. Western Digital acquires SanDisk for $19 billion! Naspers Ltd. invested $100M in Letgo!